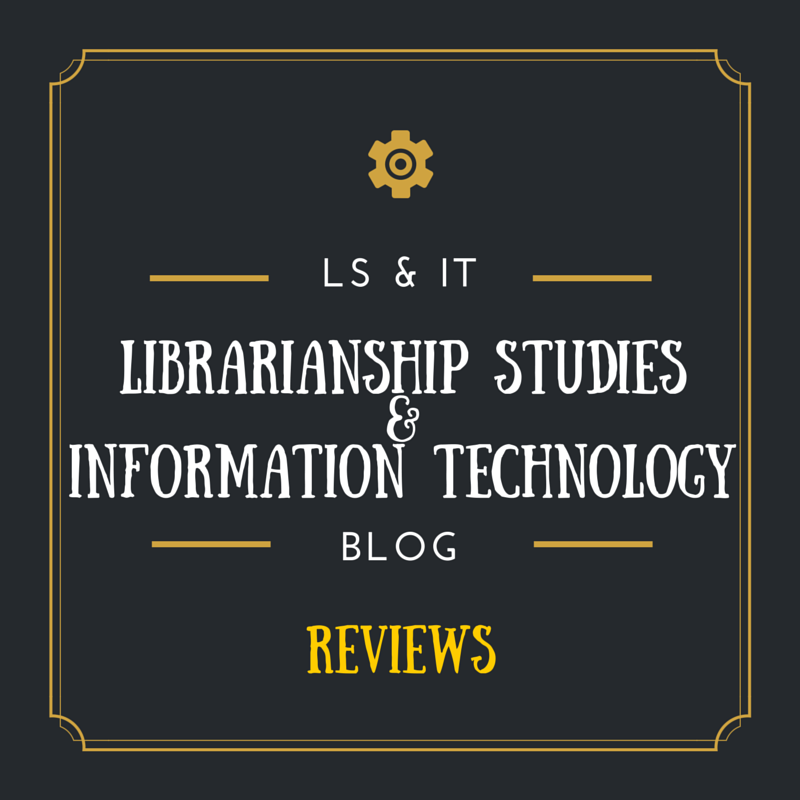 Library and Information Science: A Guide to Key Literature and Sources is an annotated bibliography to the literature of the field. Emphasis has been placed on recent print materials, i.e., books and scholarly journals from 2000 through 2012, but websites have not been neglected. It was published in March, 2014 by ALA Editions, the publishing arm of the American Library Association. • The book contains 1,594 numbered entries, which are divided among 39 alphabetically arranged chapters, beginning with “Administration and Management” and ending with “Writing and Publishing.” In order to save space and cover as broad a spectrum of the literature as possible, I made a decision to fully annotate only half the entries. The other half of the entries consists of citations only. 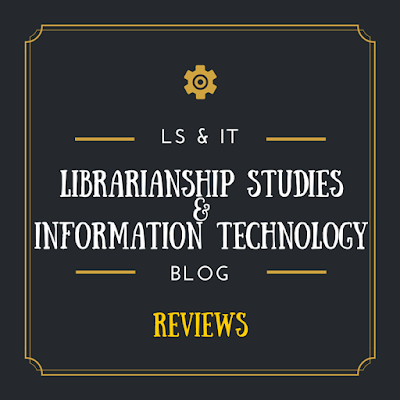 • With the time and space limitations I had to work with, I made a decision to include only those resources I felt, in my professional opinion, were the most useful to working librarians. Therefore, you will notice many “how-to” type manuals designed for those of us at the reference desk and on the front lines of customer service and technical services. 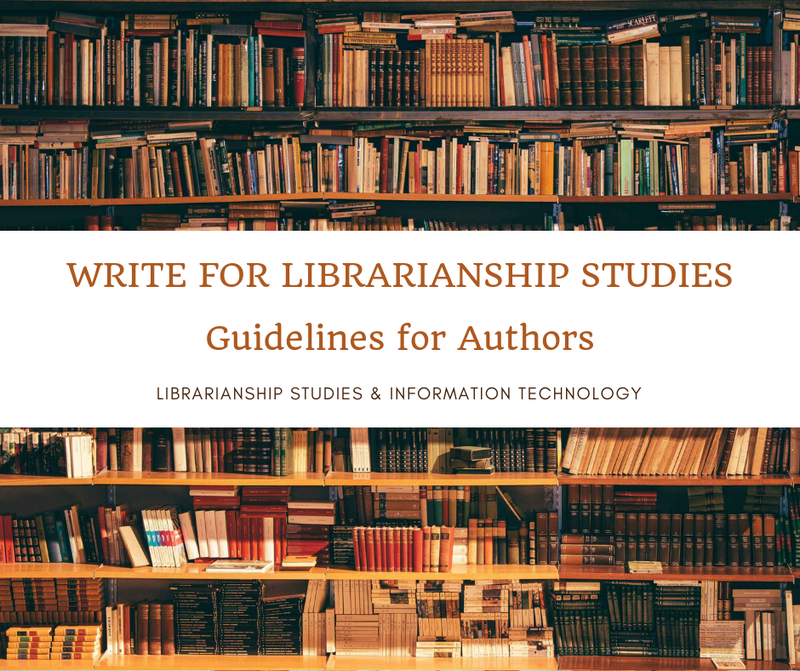 • Special Features include a list of LC Subject Headings at the front of each chapter, which allows the reader to access relevant literature that has been published since this book went to press. Classic LIS literature, now out of print, appears in shaded text boxes with the heading: FYI HISTORIC INTEREST. 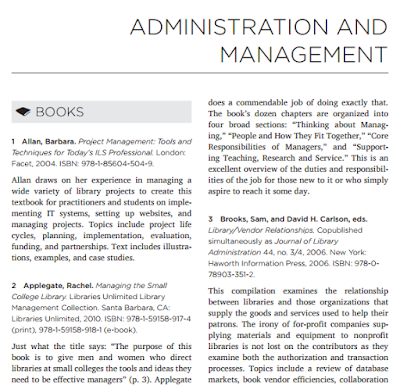 I have included two appendices: one is a listing of ALA divisions, chapters, etc., and the other is a rundown of national and international professional associations. • WORLDCAT records indicate that after only one year on the market, this title has been added to the collections of over 600 libraries worldwide. 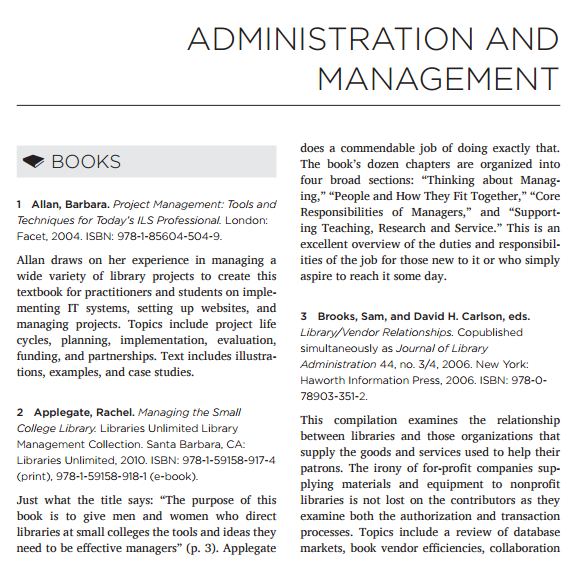 • This title would be especially of interest to LIS instructors to use as a teaching aid. 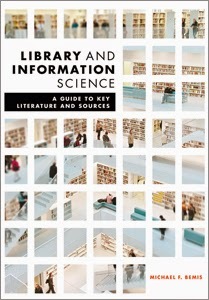 This volume could serve as a means to familiarize student librarians with the literature of their chosen field, not to mention use as a finding aid to locate literature, which can then be cited as they write their research papers for class.